IBM has released a new report concerning the performance of e-commerce on Thanksgiving and Black Friday of this year. The report shows that online sales reached new heights this year, with mobile sales showing record growth. Retailers had been anticipating that mobile commerce would have a strong showing during the 2013 holiday shopping season, but many have been surprised at just how many people have taken to shopping from their mobile devices this year. According to IBM’s report, the average order value for online consumers was $135.57 on Thanksgiving Day, a 2.2% increase over what order value had been reported in 2012. Thanksgiving Day saw the greatest degree of foot traffic to physical stores, but consumers opted to shop from their mobile devices during Black Friday. The report shows that mobile traffic to retail websites grew by 39%. 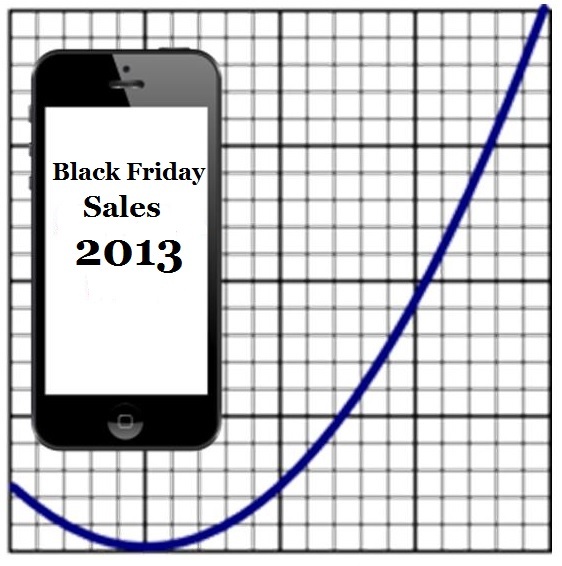 Mobile sales also showed healthy growth, with sales spiking 43% over what they had been on Black Friday of 2012. Smartphones were the most popular mobile commerce platform for most consumers. Many favored iOS devices for their mobile shopping forays, but Android devices have been growing more popular for mobile commerce in recent months. The report shows that the majority of mobile sales came from consumers based in Atlanta, Georgia. Retailers have been hard at work trying to engage mobile consumers. Throughout 2013, many retailers have been teaming with mobile commerce firms in order to provide consumers with different and more convenient ways to shop and pay for products. In order to entice consumers, many retailers have been offering special discounts specifically for mobile shoppers. These initiatives have proven quite effective, as IBM’s report shows the strong growth in mobile sales and traffic that have been reported this year.